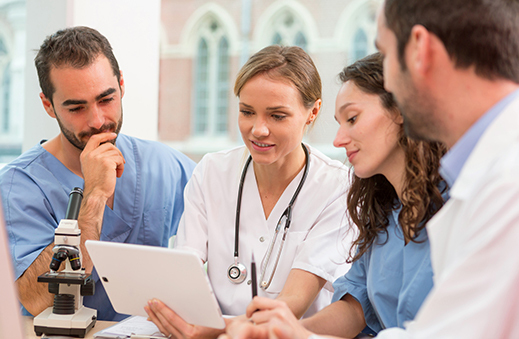 OmniJoin web and video conferencing for Healthcare helps you extend your reach and augment in-office care, with virtual house calls and waiting rooms that reduce cost, wait and travel times. Think of the OmniJoin Waiting Room feature as an extension of your practice. Your patients can enter your ‘virtual’ Waiting Room via a comfortable online setting that helps you maintain your high quality of care and serve more people. Queue and meet your patients quickly and efficiently. As the owner of the Waiting Room, you can view all waiting patients, and admit or expel them through your online attendee management window. You can even track the amount of time a patient has been waiting. All activity is archived and can be used to assist with billing insurance. 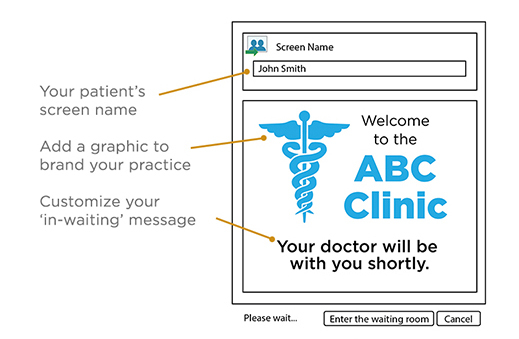 When your patient first logs into your Waiting Room, they are greeted by your custom ‘in-waiting’ message and logo. All they have to do is enter their screen name. It’s that easy. Patients are queued in the order in which they entered. As the provider, you control who you can admit or expel. You are able to connect with your patients in glitch-free, HD video, all while exceeding the technical safeguards of HIPAA's Security Rule related to authentication and encryption. 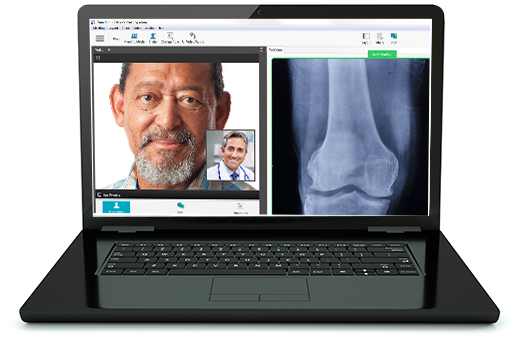 You can confidently share and annotate patient charts, prescriptions and X-rays to make the most of your virtual visits. Omnijoin web conferencing provides safe and secure capabilities to help you meet your compliance obligations. The OmniJoin online Waiting Room is ideal for healthcare, as well as other applications. Education. 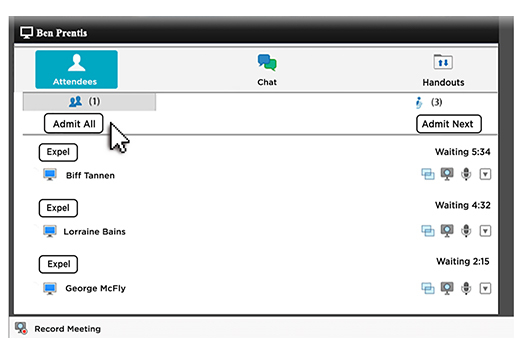 Education professionals can transform the traditional office hour experience with OmniJoin. Students can enter a virtual queue before video conferencing with a professor or counselor, bringing both convenience and efficiency to the process. Training. Do you have remote employees? An HR learning and development professional will have greater control when conducting back-to-back, 1:1 virtual training sessions.